When it comes to how you look, it’s important that your clothing is personalized for your lifestyle, profession, body type and silhouette. Come in for a one-on-one consultation and let Armen create a wardrobe designed just for you. Armen offers the finest in custom-tailored clothing, casual wear, accessories and image consulting for men and women of all ages, shapes and sizes. Armen combines his collection of perfectly fitting and classically fashionable garments with a level of personalized service that traditional retailers can’t match. 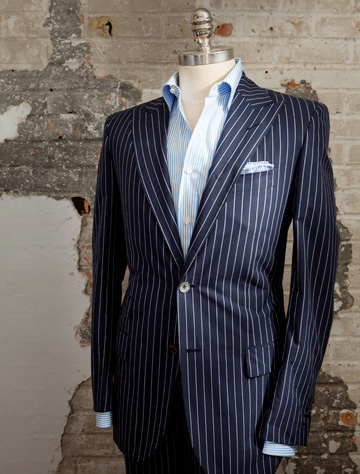 You may even find that the luxury of custom tailoring is in many cases more affordable than items off the rack! Armen will accommodate your schedule and he offers complete customer satisfaction. Come in and enjoy a personalized experience that’s similar what you’d find in Milan or on Saville Row, but at a much more competitive price. 2014-15 Philadelphia Magazine BEST OF PHILLY winner! ALWAYS 50% off retail on designer suits and sportcoasts! BRIDAL SPECIAL- Free suit/tux for groom with party of 5 or more.